Urban Composter is a stylish Australian designed and made Bokashi bucket that maximises capacity and uses a convenient fermenting spray. Made from recycled plastic with an improved easy-clip lid and internal tap design! This is for the bin only - see here for the Compost accelerator or a complete kit. Comes with a purple lid. 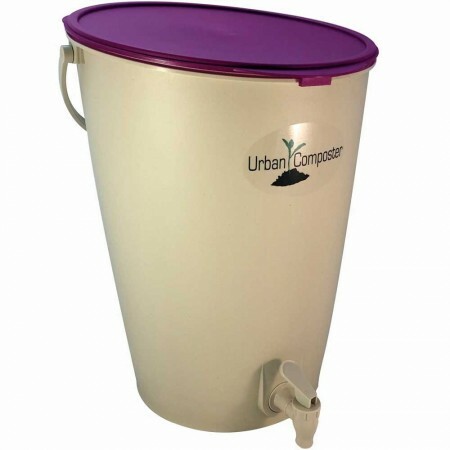 The new Urban Composter bokashi bucket has some clever attributes to help you compost more. Choose from 4 lid colours. This was great in a unit, for scraps produced by two people, producing fertiliser for herbs in pots.